Moving to a new home can be exhausting—both physically, mentally, and emotionally. In fact, the more complicated the logistics of your move, the more stressful it can seem, especially if you’re moving with family members, long-distance, or even internationally. Another factor that can make a long-distance move even more of a challenge is when your relocation project includes moving with a dog. Like moving with children, moving with pets can mean making significant changes to your itinerary, transportation plans, and other plans to make sure your dog is safe, protected and well-cared for during the transition. At O’Mara Moving & Storage, we’ve been helping our customers make smooth and seamless transitions of all kinds since our beginnings in 1865. When it comes to experience in the moving industry, our expert team is skilled and prepared for handling all types of moving projects, including moves made with furry, four-legged friends in tow. 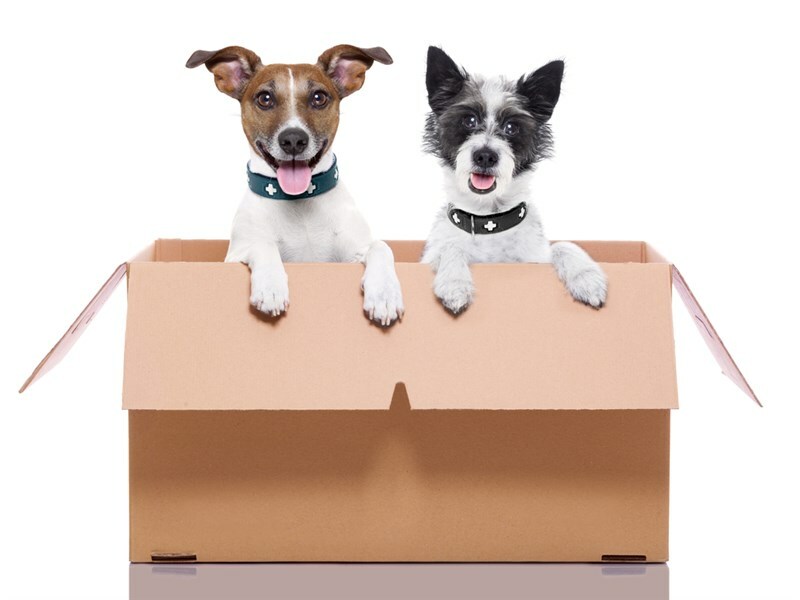 To help you plan your next move with a dog, check out at some of our favorite tips to make the experience easier on you and the rest of your family, brought to you by your favorite team of top-rated, long-distance movers from the Midwest. The most crucial aspect when moving with a dog is the pre-planning phase, regardless of what type of transportation is involved. Complete travel arrangements months before the day of the move. It is recommended that a specific family member is assigned to be responsible for the pet. When you make your travel arrangements, keep in mind that you discuss the transfer of your pet with the professionals that you will hire. These professionals surely know the best way to move your dog, provide valuable suggestions, and attend to any shipping arrangements that you need. Sometimes, a pet handling agency will be recommended to take care of all the details of moving your dog, and the costs depend on the coverage of the services provided. It is not recommended to transport your dog or any type of pet in the cargo area of trailers and vans that are not designed for such a purpose. Never transport your pet without proper ventilation and airflow, no matter whether you’re moving long-distance or within the town. The best option for moving with a dog is to use a dog cage or travel crate designed especially for transporting animals or let your dog ride with you in the car. If your dog does ride along with you in the car, make sure to include seatbelt adapters that fit your dog and a secure carrier for your pet for the best outcome. Dogs can be very territorial, and new people or commotion can cause them anxiety. Prepare your treat bag when the movers arrive and have them give treats to your dogs so your pet will not see them as a threat. Once you arrive in your new home, slowly introduce your dog to the new surroundings and have it leashed outside until your pet becomes comfortable in the unfamiliar environment. Don’t forget to have your dog wear a pet ID tag on its collar or a pet microchip just in case it wanders off during the moving day. If possible, stay home a few days after the move to attend to your dog. You can also relieve its anxiety by getting a pet sitter—this can be a friend or a relative—if you can’t stay at home. There are many animal transport services out there that can help you find the best transportation options for your pet, whether you’re moving locally, long-distance, or across the country, or around the world. Professional transportation from a reliable company will give you peace of mind that your furry friend is in good hands during the move, no matter how far of a journey you’re making to your new home. If you are looking for options to smooth out your long-distance move with pets, our team at O’Mara Moving & Storage can help. From packing to shipping and storage services, our expert long-distance movers can give you the personalized assistance you require for a successful, enjoyable relocation. For more information, contact our team at O’Mara Moving & Storage today. Call us to speak with one of our friendly representatives over the phone or fill out this online form to learn how we can cater to your needs with a free, in-home, no-obligation consultation and pricing estimate.